Nick Pearson is an independent insurance and reinsurance consultant after retiring as a partner from Locke Lord LLP, where he co-chaired the Regulatory & Transactional Insurance Practice Group. He has represented U.S. and foreign insurers, reinsurers and producers since 1977 and has served as outside General Counsel to licensed and surplus lines insurers. He has broad insurance regulatory and transactional experience and has represented cedents and reinsurers before industry arbitration panels. Mr. Pearson has represented clients in the formation, acquisition, sale and licensing of insurers, reinsurers, producers, captives and risk retention groups. He is experienced in commutations and the detailed analysis and preparation of reinsurance agreements and loss portfolio transfers, and has conducted international reinsurance fraud investigations and is experienced in run-off and insolvency. Mr. Pearson has frequently lectured on insurance and reinsurance in the United States, England and Bermuda, and his articles have been published in leading international insurance publications. 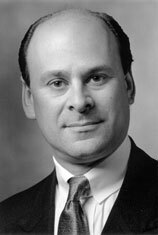 He has authored chapters on “Regulation of Market Conduct of Property Casualty Insurers” in New York Insurance Law (Matthew Bender & Co., Inc.) and “Insurance Regulation” in Insurance Law Practice (New York State Bar Association). Mr. Pearson has been recognized in The International Who’s Who of Insurance and Reinsurance Lawyers, Chambers USA’s America’s Leading Lawyers for Business, Euromoney’s Guide to the World’s Leading Insurance and Reinsurance Lawyers, and the Best of the Best USA, Woodward/White’s The Best Lawyers in America, and named as one of the “New York Area’s Best Lawyers” by New York Magazine. He holds the “AV Preeminent” attorney rating from Martindale-Hubbel, signifying achievement at the highest level for legal ability and ethical standards. Mr. Pearson is President of the Insurance Federation of New York, and has served as a member of the Insurance Law Committee of the Association of the Bar of the City of New York and legal counsel to the Business Council for the United Nations. Mr. Pearson received his BA and JD from Duke University.